What started as a role close to that of the CMO has now evolved into something far-more expansive – reaching into corporate strategy, innovation, technology and operations. With many organizations now three to five years into their digital transformation strategies, the role of the Chief Digital Officer (CDO) has been rapidly evolving and maturing alongside. What started as a role close to that of the Chief Marketing Officer, with a focus on the digital customer experience, has now evolved into something far-more expansive – reaching into corporate strategy, innovation, technology and operations. In this article, we’ll look at how the CDO role started, some of the latest developments in its continued evolution, the different types of capabilities that are needed to achieve transformational results, and some recommendations for organizations wishing to lead, rather than follow, in terms of digital disruption within their industries. 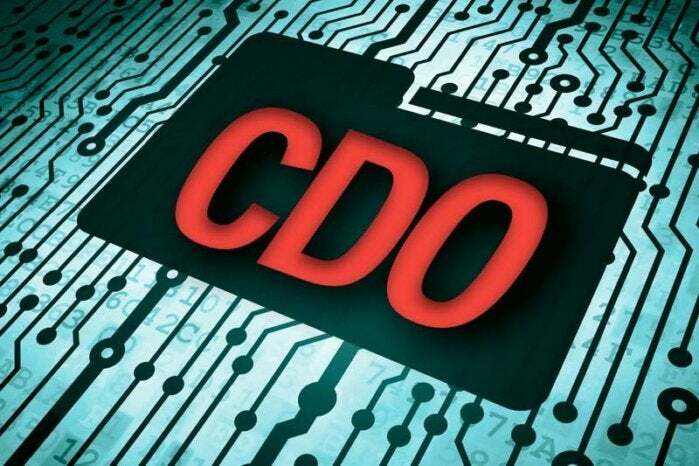 Even as far back as 2012, the CDO role was declared as the next “hot” executive title, but it took a few more years for the role to kick into gear. According to PwC, in their first annual study of the position, the number of companies that had hired CDOs in 2015 was just 6% globally out of the top 1,500 organizations. At the time, the role was concentrated mainly within consumer-oriented organizations wishing to improve the digital customer experience across their various channels. In the same year, McKinsey described the new CDO role as “transformer in chief” and stated “a high-functioning digital company does not need a CDO (however, it may want its former CDO to be the CEO)”. Even in 2015, the role was changing dramatically and its importance for leading transformation was well-recognized. The latest PwC study, conducted in 2016, found that 19% of organizations now have a CDO (including 38% in EMEA and 23% in North America) and 60% of those have been appointed since 2015. In terms of having a high percentage of digital leaders, insurance and banking are more prominent now, reflecting a desire to further digitize internal operations as well as customer-facing activities. The CDO background is also shifting from marketing, sales and service backgrounds towards technology backgrounds. In fact, technology backgrounds now make up 32% of the group, up from the earlier 14%. I believe this is because, by its very definition, digital transformation is technology-enabled and any level of transformation – whether business model, process, product or service-related, is often underpinned by powerful combinations of emerging and disruptive technologies that redefine the art of the possible. Take Amazon Go’s checkout-free shopping experience for example. By relying on much more than one discrete technology such as mobility, it provides an example of how Amazon is using deep learning, in combination with other technologies such as “computer vision and sensor fusion”, to delight their customers with unique new shopping experiences. An understanding of the business potential of emerging technologies, not just in isolation, but in powerful combinations, can be vital to achieving the kind of change required to either disrupt or lead within any industry. CDOs can benefit from technology backgrounds, but also need to bring – or employ – skills as business-savvy strategists, innovators and implementers to envision the art of the possible and actually deliver results – something many forward-thinking CIOs have been doing for years. Since digital transformation initiatives often require close collaboration and coordination across the entire organization, you have a couple of options in terms of how to lead the charge. You can accomplish this via your existing C-suite – including an appointed member to lead the charge – or via a dedicated CDO to help spearhead the focus and drive alignment. The option you choose for your organization may well depend on your current level of digital maturity versus your aspirational goals, the available candidates from among the existing C-suite to lead the charge, and even how well the C-suite collaborates with one another on digital initiatives. As discussed in “4 strategic themes for leading digital disruption,” I believe four of the core competencies in leading digital disruption relate to strategy (including platform business models), innovation (including leading practices in innovation management), technology (including powerful combinations of emerging and disruptive technologies) and operations (including a mastery of digital services delivery). CDOs or digital leaders will need to build competencies across all four of these areas either within their own organizations or in tandem with their C-suite counterparts. Of course, these are in addition to the perennial capabilities and skills that are required for business success (e.g. investment, leadership, culture, change management and governance), and let’s not forget a customer-centric mindset. In cases where there’s a distinct CDO organization, we’re starting to see some interesting new roles to assist the CDO is his or her mission. For example, advanced digital transformation strategies often lead towards platform business models. Success with platform business models necessitates new roles. It necessitates groups focused on ecosystems and partnering as well as on the technology stack to execute on the platform vision. We’re therefore seeing roles such as the Chief Digital Ecosystem & Channels Officer and the Digital CTO, who both report into the CDO, among many others. Yet even these roles are necessary, but not sufficient. A CDO will also need the equivalent of a strategy lead, an innovation lead, as well as a senior individual who can look into opportunities related to business process transformation. While most digital transformation initiatives look at re-designing business models, or improving the digital customer experience, one of the often over-looked areas is that of re-designing business processes. To take advantage of this opportunity, CDOs will need to work closely with their various business units to couple their in-depth industry knowledge with the new possibilities unlocked by digital. First, it helps to focus the organization on the new work that has to be done – the importance of a holistic digital strategy, the importance of digital ecosystems, the importance of a new architectural stack to underpin platform business models, the importance of agile and scalable delivery of digital services and so on. Second, it helps bring an unbiased perspective to help drive and foster cross-business unit collaboration, although this still may have some bias due to CDO’s background and experience in specific domains such as strategy, technology or marketing. Third, the CDO role can bring an enhanced focus on continual innovation, since while companies have CSOs, CIOs, CTOs and CMOs, they often don’t have a formalized CINO position. Overall, I expect CDO roles to be important for the next 3-5 years. At some point, “digital”, just like the nearly forgotten “e-business” era previously, will be the standard way business is done and the roles may well merge back into the traditional roles of the C-Suite. Final words of advice for CIOs? Explore the strategic themes highlighted above, gauge your current level of digital transformation maturity, and develop an action plan to close the gaps. In addition, explore the roles and responsibilities behind some of the new positions reporting into the CDO, and ensure these become part of your team. More than before, visionary CIOs are in an excellent position to pick up the mantle of CDO and to become “transformer-in-chief”.